Kenneth Shinozuka was featured in AARP's bimonthly issue as an Age Disruptor. Kenneth Shinozuka was featured on PBS' Nightly Business Report on 4/1/16. Kenneth Shinozuka was featured in Cadillac's "Dare Greatly" ad campaign, which aired during the Oscars on 2/28/16. SensaRx received a grant on 2/8/16 from Digital Health Marketplace (formerly Pilot Health Tech NYC) for a joint pilot of the SafeWander technology at Hebrew Home at Riverdale. Kenneth Shinozuka delivered his invited speech at the Digital Health Summit at CES 2016. SafeWander Button Sensor was featured at CES 2016. Kenneth Shinozuka received the Ideagen Changing the World Award from the EU delegation to the United Nations at the Ideagen EU Summit on 12/11/15 in New York. Daymond John of Shark Tank was a fellow recipient. Kenneth Shinozuka gave a keynote speech at the global Aging 2.0 AgeTech Expo on 11/19/15 in San Francisco. SafeWander was also rewarded the first-ever Dementia SMART Recognition from the Dementia Society of America. 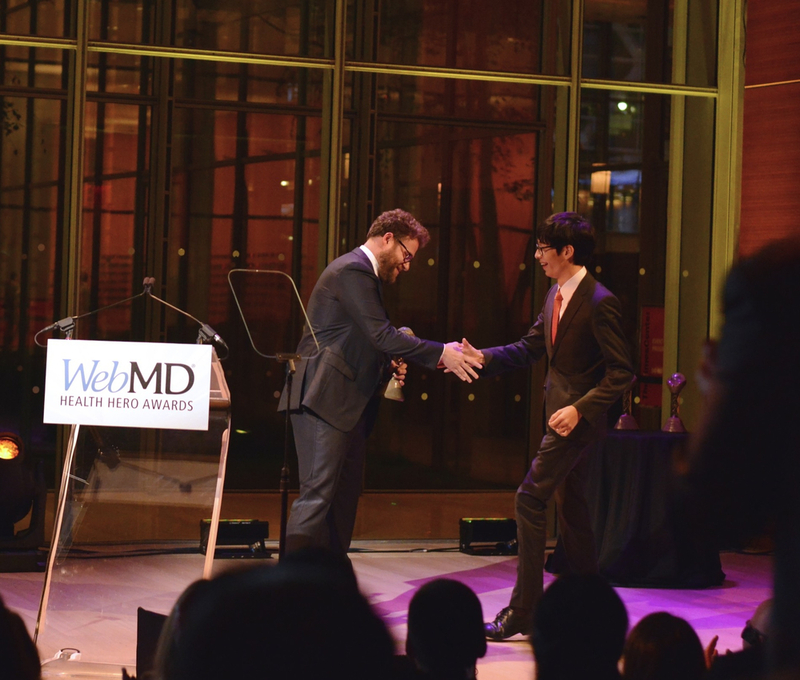 Emmy-nominated actor and Hilarity for Charity founder Seth Rogen presented Kenneth Shinozuka the WebMD Health Hero Prodigy award in a gala hosted by ABC anchor Robin Roberts on 11/5/15 in New York City. Award-winning actress Glenn Close received the Health Hero People's Choice award. 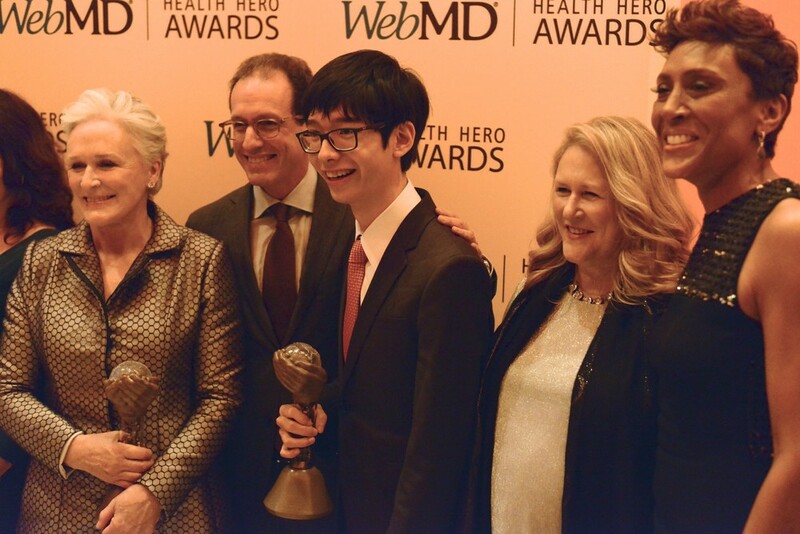 Kenneth Shinozuka delivered a keynote speech at the Royal Society of Medicine’s Medical Innovations Summit on 4/18/15 in London, U.K.
SafeWander was recognized by Lou-Ellen Barkan, President and CEO of the New York City Chapter of the Alzheimer’s Association, at the 2015 NYC Walk to End Alzheimer’s on 10/18/15 in New York, NY. Kenneth Shinozuka delivered an invited speech to an audience of 8000 at the 2015 Congress of Future Science and Technology Leaders on 6/15/15 in Lowell, MA.